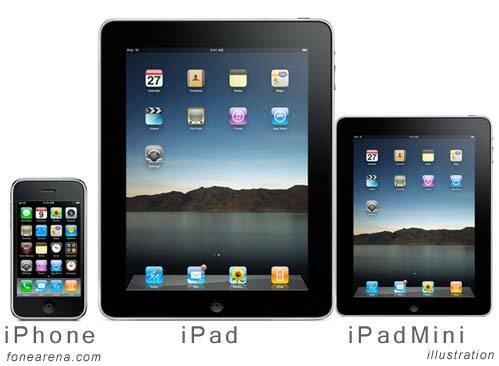 As the name rightly suggests, iPad Mini will be there with smaller screen and at affordable price. It is believed that this device is simply inevitable. It is expected that the gadget will be 7.85 inches in its screen size and will serve to be the worst nightmare for its competitors. What will it have and what will be the cost? The iPad Mini will even feature the 2048×1536 pixels screen resolution, just like the panel on new iPad. It is further expected that the tablet will be available for around $249 to $299 i.e. just half the rate of present iPad. Without a doubt, Apple will try to improve battery life in the upcoming iPad. The device may be packed with 25watt hour, rechargeable lithium polymer battery in order to offer 10 hours battery life. In order for the device to be successful, it will have to include some perks so that it can attract the customers to opt for this one and not the other competitors like Nook or Kindle Fire. Some reports and claims further suggest that the brand will launch the Mini iPad under the $300 range in order to make it really affordable and competitive. It is further learned that the brand will release the mini iPad competing against Kindle Fire. What more, as far as security feature is concerned, the rumors claim that the device will have the technology of finger print resistant oleophoic coating. This is in fact a very user friendly technology that will enhance the overall security feature of the iPad mini. iPad mini features will in fact be standard. Thus, video recording can be enjoyed at 720p with around 30fps. Also, there might be 2 cameras on the device. While the rear camera is believed to be 5X digital zoom, the gadget is also expected to be featured with 9x faster graphics system. Further, some leaks suggest that the mini iPad will have the latest iOS 5 and will be there with the 1GHz dual-core processor. WiFi connectivity is also confirmed with Bluetooth in the iPad mini. The device will even have the 3.5mm audio jack as well as the in-built microphone and speaker. So, with all these features and facilities expected to be there in the iPad mini, Apple fans and others are really looking forward to get hands on experience with the gadget soon. It is declared that the gadget will be launched by August this year. Wait no longer and enjoy using the iPad mini as soon as it becomes available in the market.